Sigafoose, who is recognized for his strong message and inspirational chiropractic philosophy message and motivational skills, is a pioneer in the profession. He will be discussing how to communicate with purpose and clarity the unique nature of chiropractic and its unique approach to health and healing. 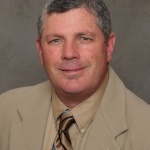 His Round-Up session, “Communicating the principles of chiropractic and the unique nature of subluxation detection and correction,” will take place on Saturday, June 21. Sigafoose-Jackson, also speaking on Saturday, will share a unique combination of clarity and insight about the vital importance of supporting the principles and the future of the chiropractic profession through multiple key action steps. 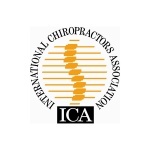 For more information, to register, and to see a full schedule, go to the ICA website.